I know that newest thin laptop and tablet even do not have a DVD reader! 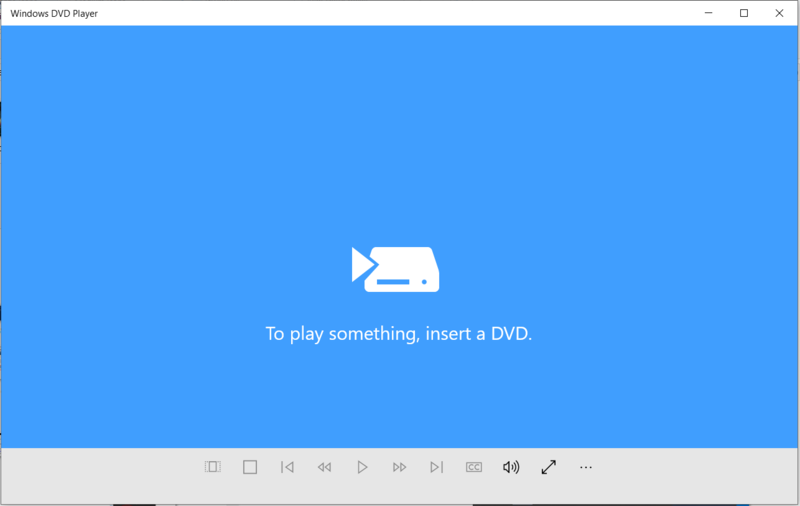 However it may happen that you have one old style one that have it or you have an USB DVD reader and you want to have your new DVD play using your Windows 10 device. By default Windows 10 does not have a DVD player but only the Windows Media Player desktop application that cannot play DVD but only other formats like MP4, WMV, WAV, MOV files: you can find all supported video format here. Note that Windows Media Player is useful also to convert an audio CD to MP3 files, as I explained in this other post. But what if you want to play a DVD? In the Store there is the Windows DVD Player app from Microsoft Corporation but it is not free: it costs 14.99$ … I think too much for what it does and I do not really understand why when there are so many Microsoft app, free of charge, that are much better and useful than this one! A good free choice is VLC Media Player, an open source cross-platform multimedia player and framework that plays most multimedia files as well as DVDs, Audio CDs, VCDs, and various streaming protocols. You can download and install from its official VLC site. But there is another possibility that is to locally install (outside from the Store) the Windows DVD Player as explained in this WindowsBlogItalia post: there you can find all the procedure explained in Italian but that site does not allows to copy text so you have to rewrite all suggested commands! FOr your convenience I give the same instructions that you can copy ;-). 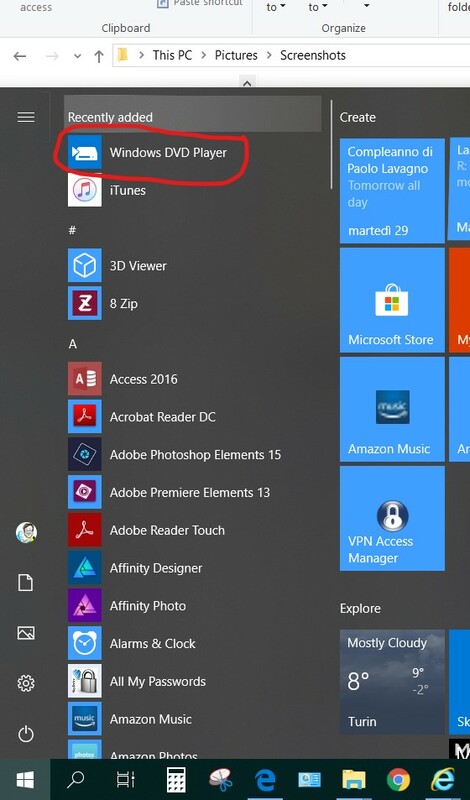 It is also stated that that install way is allowed for people that update from Windows 7 Ultimate, Professional, Home Premium or Windows 8.1 with Media Center. … anyway it is a working method for everyone even thought possibly not so official! It is provided a link for the 32-bit version (Microsoft Server, alternative one) and for the 64-bit one (Microsoft Server, alternative one). You should download the version depending on the Windows 10 version you have, 32-bit or 64-bit one. You must unzip the file (for example with 7Zip or WinRAR).